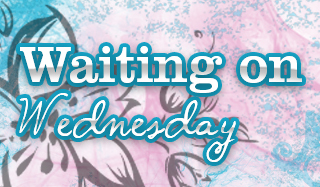 Waiting on Wednesday is a meme hosted by Breaking the Spine. Find out more information at their blog http://breakingthespine.blogspot.com/. We are the Sisters of Justice. For millennia we have served the ancient Mother Goddess. Ashera, Inaras, Ishtar, are but a few of a thousand names they have called the ancient Earth Mother, the Mother of Men. Most of her servants see her as a nurturer, a giver of life. The Sisters of Justice see her darker image. Men will call her Kali—Kali the Destroyer. She hides that darker face and we are abandoned—save when she needs us. We are the last she calls, when all of her earth witches’ gentle methods fail. We worship her. We despise her. We are her dark angels, her servants. Our blades are sharp and we strike upon her command. I haven't heard of this series before but it looks pretty interesting. I love reading paranormal books, but most are about vampires or werewolves. It is kind of refreshing to see one about witches. Never heard of this one before either, sounds good though! Just went to your WoW! The book looks great. Just visited yours, great picks!